Today’s main news: Former SoFi CEO Mike Cagney raises $50M for blockchain-based Figure. RateSetter IFISA attracts ‘high tens of millions’ of GBP. Brazilian online lender Agibank files for IPO in São Paulo. Today’s main analysis: The cities with the highest rates of mortgage denials. Today’s thought-provoking articles: Hedge funds are down in Q1. MPL’s new ways look like the old ways. Would the USPS be a good short-term lender for the underbanked? China’s mobile payments revolution. Blockchain, MPL’s, and digital banks. Memphis among the top 10. What’s next for Citi’s mobile app? Financial Engines sold to PE firm for $3 billion. Leading robos post negative returns in Q1. MetaBank, CURO partner on credit to the underbanked. LendingTree exec to present at SunTrust. P2P lending is considered a side hustle. RateSetter IFISA has attracted ‘high tens of millions’. TransferWise founder invests in Cleo. LendInvest, Family Building Society reduce buy-to-let rates. Lessons from the mobile payments revolution. The murky world of China’s P2P sector. Fincera reports end of year results. Analysis of blockchain, marketplace lending, and digital banking. Crypto lending is risky, but these firms have it down. Australia: Investors can save money with online lenders. India: MyLoanCare raises almost $1 million. Indonesia: EmasDigit offers mobile gold investing. Bangladesh: Microfinance is taking off. Brazil: Agibank files for IPO. Canada: Fintech Select earned net profit in 2017. Mike Cagney, who built SoFi into America’s biggest student loan refinancer before quitting amid allegations of sexual harassment at the fintech firm, is preparing for his second act: a startup offering home-equity loans. Cagney has raised $50 million for San Francisco-based Figure, which plans to use the blockchain to help expedite loan approvals in minutes rather than days, according to people familiar with the matter. Two global banks have agreed to finance loans and several firms have agreed to purchase them, say the people, who requested anonymity to discuss a private matter. The Eurekahedge April 2018 report says that hedge funds were down in the first quarter of the year (-0.13%). This is the industry’s worst performance since Q1 2016. The steepest performance-based losses by regional mandate were those of the North American funds, they lost $1.2 billion. Meanwhile, asset inflows remained net positive but were lower (17% lower) than were the net asset inflows for the first quarter 2017. The highest performance gains by regional mandate were those of the Asia ex-Japan funds. (+0.5%). But those hedge funds were down in March, largely on rumblings of a US/China trade war. Total assets under management for the global hedge fund industry are now at $2.48 trillion. Last week, the Federal Trade Commission accused LendingClub, the largest of the peer-to-peer lenders, of misleading consumers with hidden fees and continuing to charge borrowers even after they had paid off their loans. Shares of the online lender fell to nearly $2.50, its all-time low. In the first quarter, peer-to-peer lenders sold $4.3 billion in asset-backed securities, according to industry tracker PeerIQ. 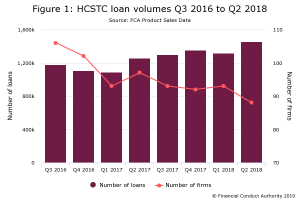 That was slightly down from $4.4 billion in issuance in the last three months of 2017, which was a quarterly high for the industry. PeerIQ estimates that peer-to-peer ABS securitization will hit $18 billion this year, up from $14 billion in 2017. LendingTree delved into data from more than 10 million mortgage applications using the most recent available Home Mortgage Disclosure Act data set to find out the main reasons would-be borrowers were rejected. Nearly one in 10 borrowers get denied for mortgages. On a national level, 8% of loan applications were denied. Credit history and debt are the biggest barriers. The leading reasons for denial were credit history (which includes credit score) and debt-to-income ratio, which were each responsible for 26% of denied loans. These were followed by collateral at 17% and incomplete applications at 14%. All other reasons for denial were cited in less than 10% of denied mortgage applications. Debt is a huge barrier to borrowers living in California. We found three California cities (Los Angeles, San Francisco, San Jose) had the highest share of borrowers who were denied because of their debt-to-income ratio. Credit history is holding borrowers back in Louisville, Ky., Memphis, Tenn. and Philadelphia. Among failed applications in these three metros, we found the highest rates of denied borrowers due to their credit history. Memphis-area mortgage applications are denied at a rate of 12 percent, the third-highest out of 50 cities in a study by LendingTree Inc., an online loan marketplace based in Charlotte, North Carolina. The top reason for a mortgage denial in Houston was debt-to-income ratio, which is the share of monthly debt obligations in relation to monthly gross income. Most lenders want this number to be 43 percent or lower, per the report. Other Texas cities ranked quite lower than Houston on the list. San Antonio was No. 18 with an 8.05 percent rate, Dallas was No. 21 with a 7.58 percent rate, and Austin was No. 27 with a 7.05 percent. Banking apps are now among the most widely and frequently used apps, along with weather and social media, according to Citi’s second annual mobile banking study, released Thursday. If that’s true — the study examines the behavior of some 2,000 U.S. adult consumers — that would mean people are checking their bank accounts more frequently than they use music, news and dating apps. Although, 20 percent of millennials actually use their mobile banking app while on a date, Alice Milligan, the chief digital client experience officer for Citi’s U.S. consumer bank, pointed out in a presentation of the results. In this age of electronic communications, we often take the post office for granted, but it remains a powerful institution. As the US Postal Service (USPS) website indicates, 47 percent of the world’s mail volume is handled by the USPS; the website adds that if it were a private sector company, “the Postal Service would rank 37th in the 2017 Fortune500. In the 2017 Global Fortune 500 list, we ranked 99th.” The business employs over 500,000 career employees, has annual revenues of $69.6 billion, and operates 30,825 “retail offices” nationwide. It is this last aspect—the ubiquity of post offices across the nation—that has spurred legislation (Senate Bill 2755), introduced last week by US Senator Kirsten Gillibrand (D-NY), that would require every post office to provide basic banking services. Interestingly, the idea of post offices offering banking services is not new. From 1911 to 1967, post offices offered savings and deposit services for Americans (although not loan products). At one time, Americans held more than $3 billion in deposits through postal banking ($30 billion in inflation-adjusted 2018 dollars). Other countries, including Japan, Germany, China, and South Korea, continue to offer banking services through their postal networks. Daniel Maran of the Huffington Post explains that, “Under Gillibrand’s proposal, Americans could cash paychecks and deposit money in accounts free of charge at each post office location. Deposits would be capped at the larger of two amounts―$20,000, or the median balance in all American bank accounts. The postal banks would be able to distribute loans to borrowers of up to $1,000 at an interest rate slightly higher than the yield on one-month Treasury bonds, currently about 2 percent.” By contrast, a Pew Charitable Trusts report found that average payday loan of $375 typically costs a borrower $520 in interest and fees. Financial Engines announced on Monday that it will be acquired by private equity firm Hellman & Friedman and combined with Edelman Financial Services. According to the announcement, Hellman & Friedman will make the acquisition in an all-cash transaction that values Sunnyvale, Calif.-based Financial Engines at $3.02 billion. Financial Engines shareholders will receive $45 per share in cash upon closing. The best taxable robo-advisor performers in the first quarter for total portfolios were SoFi, which posted a loss of 0.14 percent; Schwab, which returned a negative 0.33 percent; and TIAA’s socially responsible portfolios, which posted a 0.45 percent loss. The top-performing taxable robo-advisors for total portfolios over the two-year duration of Backend Benchmarking’s study are Schwab, offering 10.98 percent annualized two-year returns; SigFig, which returned an average of 10.71 percent annually over two years; and Betterment, which returned 10.24 percent. MetaBank, a provider of payment, community banking and financing solutions, today announced an agreement with CURO, a facilitator of short-term credit to underbanked consumers. Together, the organizations will launch a new line of credit product the parties believe will be more flexible and transparent than others in the market, and well-suited for US-based underbanked consumers. CURO and Meta expect to unveil the new, joint brand and a timeline for the pilot launch later this year. Through the credit option expected to be launched by CURO and Meta, underbanked consumers would be able to access credit with a flexible timeline for repayment. These consumers would also be able to control their cost of borrowing through transparent fees that would apply only when credit is drawn. Estimates indicate 67 million adults are considered un- or underbanked. Many of these adults typically have poor credit ratings and, as such, have difficulty securing credit or loans — this product is expected to provide a responsible credit option for many of those consumers. LendingTree, Inc. (NASDAQ:TREE), operator of LendingTree.com, the nation’s leading online loan marketplace, today announced that it will participate in the SunTrust Robinson Humphrey Internet & Digital Media Conference at The Palace Hotel in San Francisco, California. Trent Ziegler, Vice President of Investor Relations and Treasurer at LendingTree, is scheduled to present on Tuesday, May 8, at 9:10am PT and will participate in one-on-one meetings throughout the course of the day. The presentation will be webcast live and archived at http://wsw.com/webcast/strh32/tree. If you’re looking for a way to grow income over time, and don’t mind the risk and reward nature of investment, peer to peer (P2P) can be a great way to earn some passive income on the side. Operating much like a bank loan — but without the bank – P2P lending connects people with money (even if it’s only a few hundred dollars) with people who need it. RATESETTER has revealed that its Innovative Finance ISA (IFISA) has already attracted “high tens of millions” of pounds from investors, in less than three months since launch. RateSetter opened its IFISA to existing customers on 8 February and to new customers on 1 March. The platform previously reported that it had seen over 5,000 IFISA accounts opened in the first month. Cleo, the London-based fintech that offers an AI-powered chatbot as a replacement for your banking apps, continues to put together an impressive list of backers. The startup’s early investors already include Entrepreneur First, Moonfruit founder Wendy Tan White, Skype founder Niklas Zennström, Wonga founder Errol Damelin, and LocalGlobe, the seed VC firm founded by father and son duo Robin and Saul Klein, amongst others. Now TechCrunch can reveal that TransferWise founder Taavet Hinrikus has become a Cleo investor and advisor. Family Building Society and LendInvest have each reduced rates on a number of buy to let mortgage deals. Family Building Society slashed interest rates across its entire buy to let product range, whilst LendInvest has reduced rates on several of its buy to let deals. CROWDPROPERTY co-founder Mike Bristow has been appointed as chief executive of the peer-to-peer property lender, taking over the reins from fellow co-founder Simon Zutshi. Bristow, who was also a non-executive director at CrowdProperty, had been acting as interim chief executive for around two months before taking on the role on a permanent basis, effective from 1 May. Zutshi has now been appointed as chairman of CrowdProperty. According to the research firm eMarketer, 76% of Chinese smartphone users made a mobile point-of-sale purchase in 2017, compared with 25% of American users. In total, 61.8% of all such transactions globally are Chinese. In the first 10 months of last year, China processed a whopping $12.8 trillion in mobile payments, according to the state-run news agency, Xinhua — 38% higher than for all of 2016. Though it’s not exactly an apples-to-apples comparison, the U.S. market in 2017 had just $49.3 billion in mobile point-of-sale transactions, according to Shelleen Shum, eMarketer’s forecasting director. More than 90% of Chinese mobile payments run through Alipay and WeChat Pay, rival platforms backed by China’s two largest internet conglomerates — Alibaba, essentially the Amazon of China, and Tencent Holdings, owner of WeChat, the nation’s must-have messaging and social-media app with more than 1 billion users. During an 18-month period, Ezubo swindled up to 900,000 investors out of 50 billion yuan (US$7.7 billion). In one of the country’s highest-profile court cases, the founders of what was once China’s largest peer-to-peer lending platform, Ding Ning and his younger brother Ding Dian, were jailed for life last September. Another 24 executives were sentenced to prison terms, ranging from three to 15 years, after disbelieving depositors mounted unprecedented protests in fintech’s biggest scandal. “[Just] 500 P2P companies, out of the total 4,856, are likely to maintain their operations this year,” it added. Fincera Inc. (”Fincera” or the ”Company”) (OTCQB: YUANF), a leading provider of web-based financing and ecommerce services for small and medium-sized businesses and individuals in China, today reported financial results for the year ended December 31, 2017. Income for the year ended December 31, 2017, increased 16.9% to RMB1.0 billion (US$156.7 million) from RMB875.9 million in the prior year. Net loss improved to RMB8.4 million (US$1.3 million), from net loss of RMB12.3 million in the prior year. Net cash provided by operating activities increased 148.4% to RMB2.1 billion (US$326.6 million) for the year ended December 31, 2017, from RMB859.2 million in the prior year. This increase resulted in a 63.6% improvement in the Company’s overall cash position to RMB1.3 billion (US$191.5 million) at the end of 2017, compared to RMB764.8 million at the end of 2016. Loan transaction volume across all loan types for 2017 totaled approximately RMB26.8 billion (US$4.1 billion), compared to approximately RMB24.4 billion in 2016. In January, the International Data Corporation (IDC) reported worldwide spending on blockchain solutions would increase to $2.1 billion in 2018 from $945 million in 2017 and will grow more than 80 percent year over year to reach $9.7 billion by 2021. Most of that spend will be concentrated in the U.S., with supporting use cases mostly related to financial services and cross-border settlement, for a grand total of $242 million in 2018. To put that into context, the IDC projected worldwide growth and spending on mobility solutions at 15 percent a year from a 2018 base of $1.6 trillion; on security-related hardware, software and services at 10 percent a year from a 2018 base of $91.4 billion growing to $120.7 billion in 2021 and on the Internet of Things at 14 percent a year from $772.5 billion in 2018 growing to $1.1 trillion in 2021. LendingClub was hit with a lawsuit by the Federal Trade Commission (FTC) last week over claims of “deceptive” practices. Following that news, LendingClub’s stock price took a nosedive. Yesterday, it was trading at an all-time low of $2.70. Launched in October of 2016, Marcus is Goldman’s $2 billion annual hedge on threats to its core commercial banking and trading businesses. Goldman Sachs reported on its Q1 earnings call that Marcus, since it launched, has originated $3 billion of new loans and taken in $9 billion of new retail deposits. If the blockchain is all about replacing the global financial system and marketplace lending is all about replacing traditional lenders, digital banks in the developed world are about upending the traditional banking ecosystem. A new crypto lender, Nexo, will launch Monday in a market where existing participants have already withstood trial by fire. Such lenders extend credit to those who want to own digital currency, such as bitcoin and ether, and hold onto it long-term while investing it in real estate and elsewhere. But crypto lenders have been severely tested of late as digital currency prices dropped about 70% between December and February. The team behind Switzerland-based Nexo runs a consumer lending operation called Credissimo that has made more than a million loans to consumers of up to $2,000 in Europe. Denver-based Salt Lending, which started crypto lending earlier this year, has made just under $40 million in loans and has had no losses, according to co-founder Blake Cohen. Unchained Capital, which publicly launched in November, is originating “single-digit million dollars of loans per month,” according to CEO Joe Kelly. The typical loan size is $120,000; the average interest rate is 12%. IdentityMind Global today announced that Ripio Credit Network (RCN), a global peer-to-peer credit network based on co-signed smart contracts that connect lenders and borrowers located anywhere in the world, has partnered with IdentityMind to provide KYC and AML compliance support. The company’s research shows the average customer of one of the big four banks can save more than $2,500 a year by switching to an online deal. This has increased from a year ago, when the potential annual savings were $2,250. Despite these savings and the fact most other services have migrated online, only 27% of consumers said they would take out a home loan with an online lender. Gurugram-based B2C online loans marketplace MyLoanCare has secured $977.7K (INR 6.5 Cr) equity Series A funding from Ncubate Capital Partners, a private investment arm of SAR Group family office. The startup plans to use the funding for branding, technology augmentation and growth. MyLoancare also plans to enter new segments of the market including cards, savings and investments. INDONESIAN fintech startup EmasDigi enables the investing in as well as buying and selling of gold through mobile applications with easy processes that require little time. The idea began with EmasDigi chief executive officer and founder Claudia Kolonas selling vouchers which gave people easier access to the gold trading market. EmasDigi is affiliated with PT PG Berjangka, which is registered and supervised by the Trade Ministry’s Futures Exchange Supervisory Board (Bappebti). This affirms EmasDigi’s commitment to consumer protection and ensures compliance with legal provisions in Indonesia. Bangladesh is widely known as the origin of microfinance. The pioneer two NGOs, Grameen Bank and BRAC, have taken this poverty reduction tool to different places in the world, especially in Asia and Africa. This has been acclaimed by the United Nations and other international organisations. Certainly the objectives of microfinance have undoubtedly already been achieved. Microfinance was inaugurated in the 1980s for a specific, target group of people (given their poverty level). It doesn’t have the generalised character required to reach all people. Brazilian online lender Banco Agibank SA on Monday filed for regulatory clearance to launch an initial public offering (IPO), according to a securities filing. Agibank follows Banco Inter SA’s (BIDI11.SA) strategy of raising capital to fund its expansion and IT investments. On Monday, Inter made its debut in São Paulo stock exchange, in the first IPO by a Brazilian retail bank in nearly a decade. In late afternoon, Inter’s units were stable at 74 reais. Fintech Select Ltd. (“Fintech Select” or the “Company”) (TSX-V:FTEC) is pleased to announce that its financial statements for the year ending December 31 2017 have resulted in a net profit of $435k. 2017 Financial Statements and Management Discussion & Analysis (“MD&A”) will be filed on SEDAR shortly.